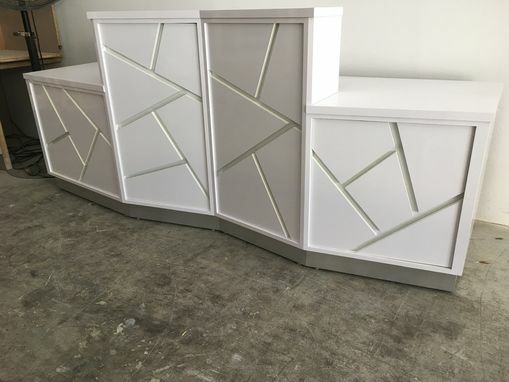 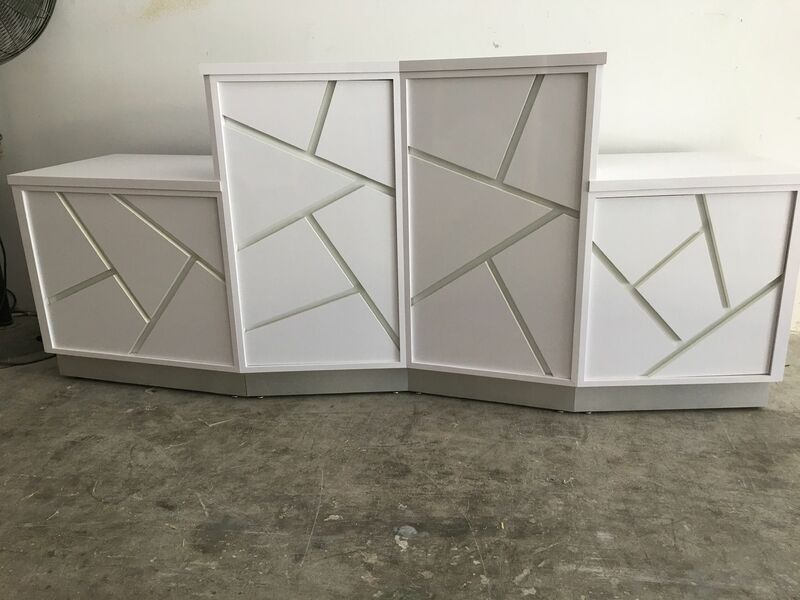 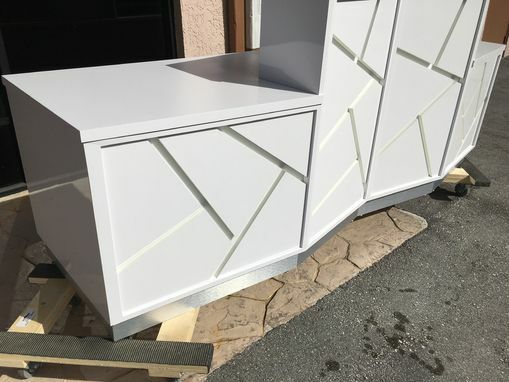 Beautiful white high gloss and acrylic modern reception desk! 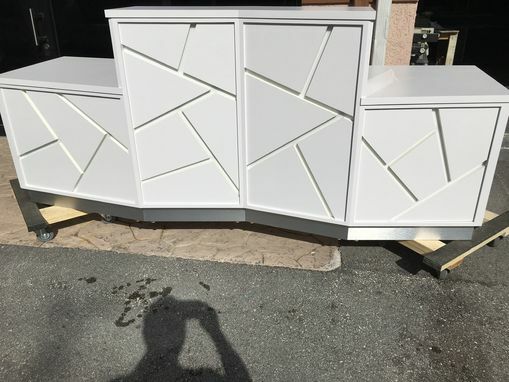 96" x 30" x 42"
Work-surface Design: 1-1/8" x 24" x 96"
Ships assembled in a crate. 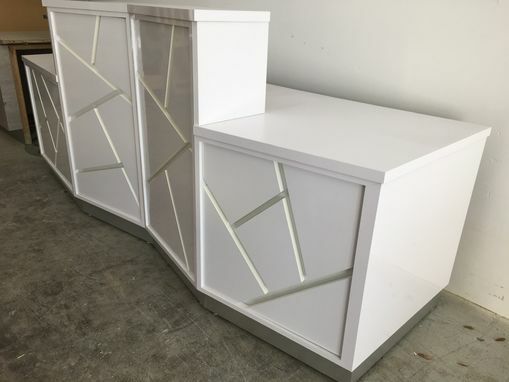 Please ask all appropriate questions and inquire about shipping fees.